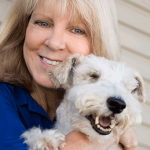 Dr. Stephanie earned her Doctor of Veterinary Medicine degree from Kansas State University, College of Veterinary Medicine in 1992. She has her Bachelor of Science degree in Agriculture with honors from the University of Nebraska in Lincoln in 1988. Stephanie was Associate veterinarian at A&M Veterinary Clinic in Columbus, NE from 1992 – 1997. She has been a partner in the Columbus Small Animal Hospital since June 1, 1997. Her professional interests include small animal medicine and surgery. Her personal interests include fishing, gardening, reading, and spending time with her numerous cats and dogs. She and her husband, Tim, have four grown children and three grandchildren.